coromandel preachings: Sanctus, Holy, Kadosh! Perhaps the most ‘doctrinal’ Sunday of the year we celebrate the Christian mystery that God is Trinity. But we misunderstand Trinity if we think it is highly theoretical or speculative. At the core of the Trinity is the idea that our God is the God with whom we are in relationship. Take a little time to nurture your personal relationship. is that each member of the Trinity is there as an agent of Love. The Father loves the Son, the Son loves the Father, the Spirit is there to enable the love to deepen and grow. are there to serve each other. the Spirit so loves us that we are filled with love for the Father and the Son. is that we are fulfilled in community in so far as we give our life for others. Where does God call me to live my life for others? Is there someone who I am called specially to be here for this week? 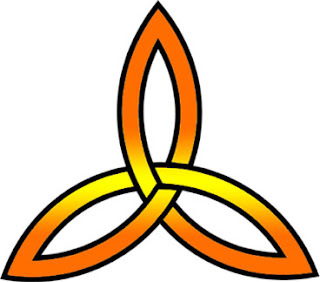 As part of my call to be a worshipper of the Holy Trinity God I commit myself to this in this coming week. Do I need to pray the prayer of Isaiah...Here am I send me?